The engine threw a rod through the side of the block. I got a used block that was mag tested, new crank, oil pump, bearings, etc. and we can not get the oil pressure above 27psi (spec is 37-57). We have consulted with numerous people for some reason that would account for the low pressure. We have tried everything anyone mentioned... so I think we've covered the obvious. Do you know anyone with experience rebuilding these engines? This is the third engine in this tractor and I'm wondering if there might be something unique about this engine that we don't know about. We had the Ford repair manual which was helpful, but not on this issue. Do you still have your 1710 and is it a 4wd? I still have it and it is a 4-wheel drive. We figured out what the problem was. When the engine "blew" part of the piston arm hit the oil pickup tube. The tube is connected to the oil pump via some kind of pressure connection. The impact pulled that tube out about 1/8 inch or so, but you could not tell it by looking at it. So I have $5000 into the new engine, but when the guy brings it back, apparently the throw-out bearing had rusted or something, so now it screams when you put the clutch in. I have a diesel mechanic moving onto the property and he will get it running again to use on the property. Also have a John Deere 450C bulldozer with a reverse problem and a hose blew draining all the hydraulic fluid out so I can't lift the blade up. Ole Tim the Tool Man knew the feeling. I hope nobody minds if I post an opposing view. The following is from one of my favorite characters in U.S. History.....Lysander Spooner. "Men are able to produce almost no wealth at all by their hands alone. Until they make discoveries in science, and inventions in implements and machinery, they remain savages, few in number, and living upon such wild fruits as they can gather, and such wild animals as they can kill." Thanks for the reply. I have a shibaura sd2640 which uses the same parts as your 1710. I messed up the connector in the front axle which enable the tractor to operate in 4wd. 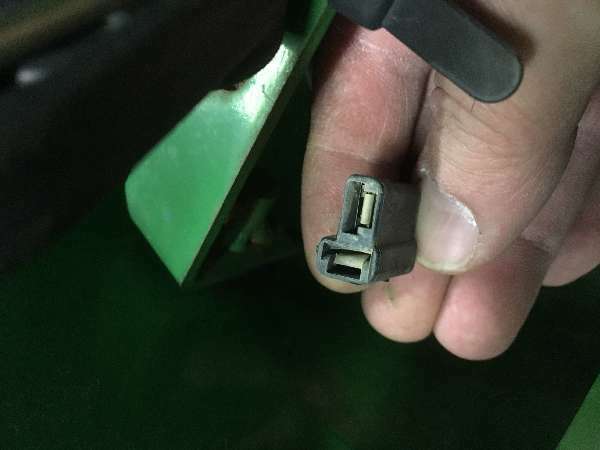 I'm looking for a used part to replace it if you decide to "part out" your tractor. Thanks for ALL the info.!! I'll check him out. As you said, parts are hard to find and expensive!